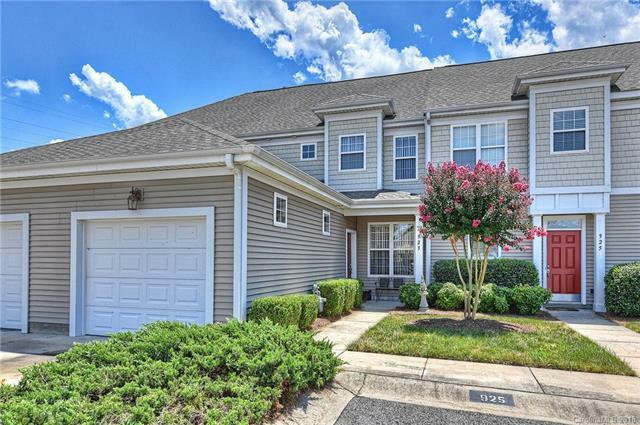 Well maintained town home in quiet neighborhood with thick custom molding that sets it apart from the others! Open floor plan with cozy see thru fireplace between dining room and den. 2 beds, 2.5 baths. Garden tub in master bedroom with two walk-in closets, and bonus area upstairs that could be a third bedroom, office or den. New gas water heater and heat pump, new disposal, flooring 2 yrs old, new luxury vinyl tile in upstairs baths. Generous closet space throughout. Relax with your morning coffee on the screened back porch, featuring slate floor and enclosed half wall for privacy, or perfect for afternoon entertaining. Acorn Stair lift with remote is installed on stairway but seller will remove or it can convey. Amenities include a community pool directly across the street! Let your dog play in the dog park near the front entrance of the complex. Home has a one car garage. Just minutes to shopping and restaurants!